Congrats on becoming a new Java Momma Coffee consultant! It’s an exciting time to join a direct sales company a the ground floor. One of the best ways to connect with your community is a closed Facebook group. A closed Facebook group allows you to connect with your friends and family in one place. The content in the group is only for the members so they feel safe to post, comment, and engage how they like. One of the many goals of having a Facebook group for your Java Momma business is to introduce the Java Momma coffee, products, and business opportunity to a large audience. It is also key to have new people join your Java Momma Coffee Facebook group. But, how? First, let’s talk about the difference between your Java Momma Facebook group and your Facebook Business Page. Your business page is your window-shop view to the public. Anyone can see your posts, anyone can find you and message you. With your Java Momma Facebook group, it is ideal to create a closed group where you control who joins. This becomes your own little community where your customers get to know you! Wondering how to get those who view your public Facebook business page over to your Java Momma Facebook group? Make sure to include your link and a fun message in the description section of your business page! This along with posting fun engagement posts and including a call to action to join your group can really impact your group! Another way is to share a teaser photo or video. Share a peek of your Java Momma Coffee kit and end the video just as the box is opened. Instruct viewers to join your Java Momma Facebook group to see the entire kit unboxing! This simple tip ensures that anyone who stumbles upon your business page knows where to join your fun Facebook group community! This is SUPER simple and a no-brainer, but it needs to be said because many direct sellers on Instagram forget this important tip! All Java Momma Consultants should be taking advantage of the link section of your Instagram profile. You may be compelled to put your Java Momma website in that spot. 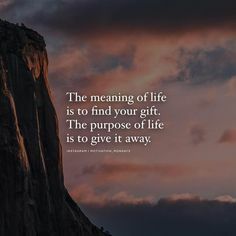 Think about this, if you do and a follower clicks on your link, you have lost them into the ether of the internet with no way to grab their attention or get them back. Update your link to your Java Momma Facebook group and make a note in your Instagram posts to have your followers, “Click my link in my BIO”. This way they are prompted to join your awesome Facebook community! This simple change will have you noticing more members in no time. Want an even better Instagram tip? Utilize Linktree to have multiple links in your Instagram profile. Not sure what Linktree is? I gotcha covered with this post right HERE. Ah, Pinterest. My absolute FAVORITE social media channel. Why? Because like Google, it is a powerful way to search for things. As a Java Momma consultant, you have the power to use Pinterest to direct followers to your rockin’ Facebook group community! Just like Instagram, Pinterest has a profile section where you can also include a link to a website. 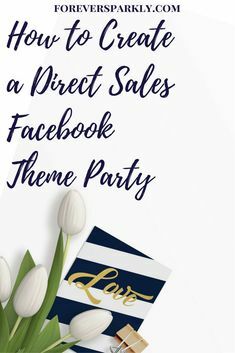 Use Pinterest to advertise your direct sales Facebook group link and in your profile description, add a fun snippet of what future members will get out of joining your community! And you know what, because Pinterest is the bee’s knees, I have another little secret to show you on how to use Pinterest to grow your Facebook group. I’ve made a short video to show just how this little tip works! All you need to do is click HERE to gain access to the Direct Sellers Toolbox to view it! I hope these tips have helped you to think about how to grow your Java Momma Facebook group organically and over time. Remember, you never want to add individuals to your group. Leave me a comment below, I would love to hear what you think about these tips! 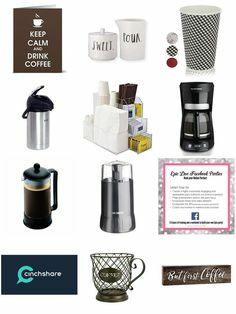 And be sure to read all of my Java Momma Coffee direct sales posts! Click below for more! Java Momma Coffee Flavors: The Ultimate List!